Perfect snowbird residence! 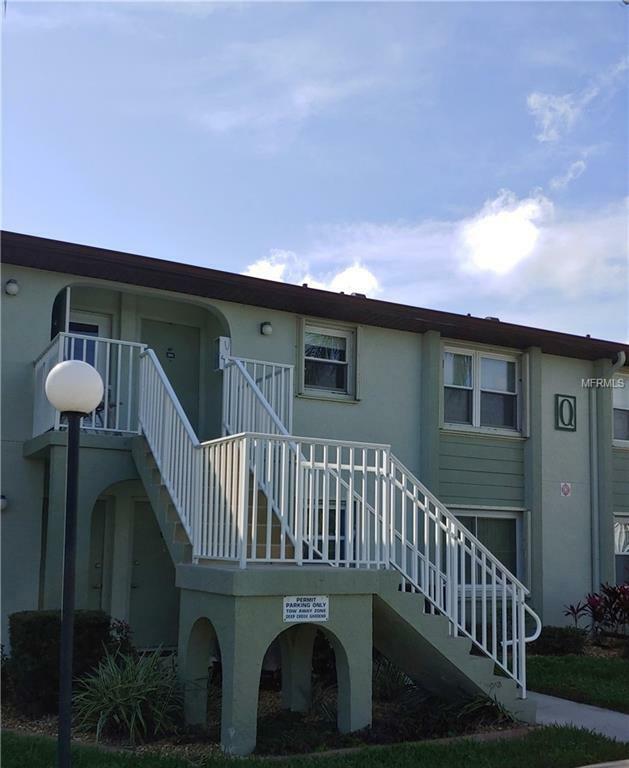 This charming, well maintained condo is close to restaurants, shopping, activities and I-75. Very friendly community in the beautifully maintained Deep Creek Gardens Condominiums. This condo has an updated kitchen with stainless steel refrigerator, vinyl windows, newer A/C (2013) and water heater (2015). Nice open dining/living room combination with amazing water view. There is an equally tranquil view of the water from the master bedroom window. This is one of the best units in the complex, water on one side and wooded area on the other side of the parking lot. There are levolor blinds on the windows and sunscreen sliders for the lanai. Newer stacked washer/dryer. You can join in the many planned activities for the residents, relax by the pool, play tennis, pickleball, bocce ball or shuffleboard. This is also a great investor opportunity - many of these units rent out for the season. Additional Lease Restrictions Not Less Than 30 Days And Not More Than 6 Months. May Rent Up To 6 Months Max/Year. Pet Restrictions Tenants Not Allowed To Have Pets.